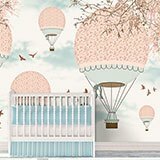 Wall mural Pink balloons in the sky. 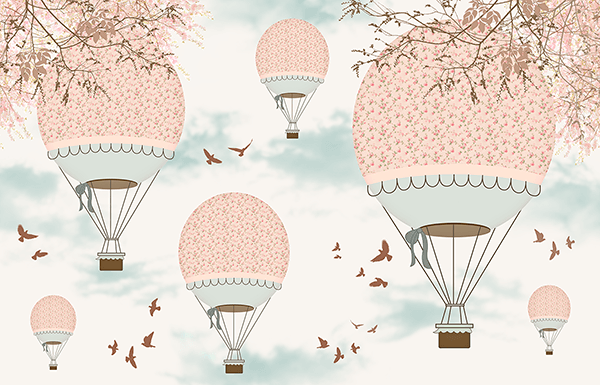 Children's design in which six pink hot air balloons fly over the skies with dozens of pigeons. The balloons also have ribbons. 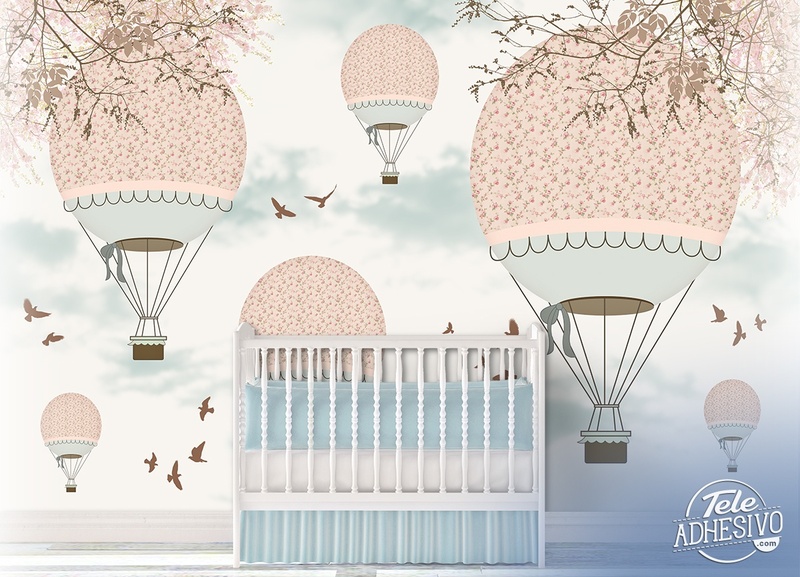 Ideal to decorate the room of the smallest of the house, giving it an original touch.